Another sad day for KLM staff worldwide. Their past president - Sergio Orlandini passed away peacefully in his sleep on October 28th at 94 years of age. Sergio Orlandini, who was president of KLM from 1973 to 1987, was a colourful, energetic and outspoken personality who did not shy away from expressing his views on the world aviation scene. It was under his direction that KLM moved itself into an important player in the aviation world. He retired from KLM in 1987 but held a position on the Board of Directors until he had to step down in 1993 at the age of 72. Orlandini was born in Milan, Italy in May of 1921 and moved at the age of five with his parents to the Netherlands. Sergio Orlandini became a Dutch citizen in 1957 and after completing his studies at the Economic High School in Rotterdam he joined KLM in 1951. From there on his career with the Dutch national carrier went up step by step. He started in KLM’s central planning office and took up the top position there in 1962. 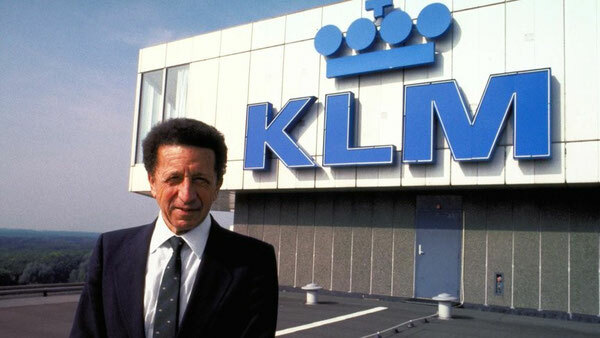 Mr Orlandini was elected as successor to Gerrit van der Wal as President of KLM in 1973 and held this position until 1987 where he was succeeded by Jan de Soet. That was however not the end of his KLM connection. He remained on the Board of Directors until he retired in 1993. Mr Orlandini was a flambouyant figure within the world’s aviation management circles. His outspoken views were sometimes considered as being “too direct” by some of his counterparts. However, KLM had a good helmsman in those fourteen years under his leadership. He remained an energetic follower of the airline even after having to step down from the BoD because after having reached the age of 72 years. Orlandini was very critical in 2003 when the decision was made to bring KLM and Air France together. He openly stated that it was a disgrace to give (KLM) the company away to Air France and that he did not see a happy future with that move. How right he proved to be! The present KLM CEO, Pieter Elbers heard the news of Mr Orlandini’s death whilst on a business trip in the Far East and commented that KLM had much to thank Sergio Orlandini for and that his energy and vision had done much to place KLM in a position as a worldwide airline. Let’s hope that KLM returns to that position sometime soon.